Tributes in Wide Lane, Morley. The home of a 13-year-old boy who died following a road accident in Leeds was burgled while the family were attending his funeral. Thomas Easton, from Morley, was critically injured in a collision with a pick-up truck in Wide Lane, Morley, on September 19, and died days later in hospital. His funeral took place on Tuesday, October 16 and the family home in Newlands Crescent, Morley, was burgled at some point between noon and 2pm that day. The house was locked and secure when the family left at around noon with the funeral procession. A rear kitchen window was smashed to gain entry and the offender searched the house before taking some cans of lager and the keys to the family’s white Vauxhall Insignia, which was parked on the driveway. The car, registration YX10TZO, was driven away and was found abandoned and set on fire on Middleton Park, off Gipsy Lane, at about 4pm. Part of a collection for the paediatric ward where Thomas had been treated was in the car when it was left on the driveway and was either stolen or destroyed in the fire. PC Annie Monaghan, of Leeds District Crime Team, said: “This burglary of the family home has had an understandably significant impact on them at a time when they are grieving the loss of their son. “Added to this is the loss of a sum of money that had been collected in Thomas’s memory to support the paediatric ward where he had been treated. “We are carrying out extensive enquiries into the incident and would like to speak to anyone who witnessed anything suspicious in Newlands Crescent at the time of the burglary. 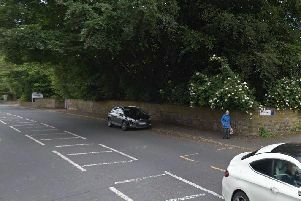 “We would also like to hear from anyone who saw the white Vauxhall Insignia at any point after it was stolen or who witnessed the circumstances of it being abandoned and set on fire in Middleton Park. Anyone with information is asked to contact PC 3881 Monaghan at Elland Road via 101 quoting crime reference 13180518364 or call the independent charity Crimestoppers anonymously on 0800 555 111.